Say "I love you" with our Valentine`s Baby. 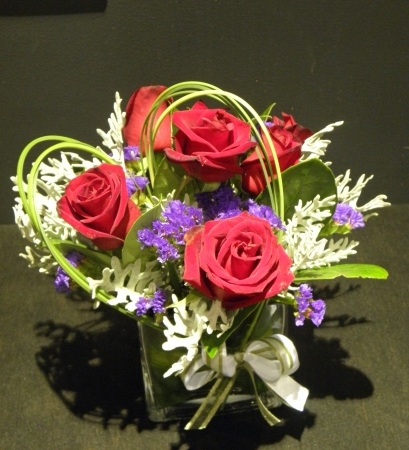 An elegant display with Red Roses, arranged in a glass cube vase finished with a spear grass heart. Fitting for the season of love. Available in a selection of colours, and sizes. Spoil the special person in your life today. From Amaranthine Flowers By Design, Newcastle. Same day delivery available to all areas of Newcastle, Maitland and Lake Macquarie. Including John Hunter Hospital, Newcastle Private Hospital, Lake Macquarie Private Hospital, Maitland Hospital and Mater Hospital.